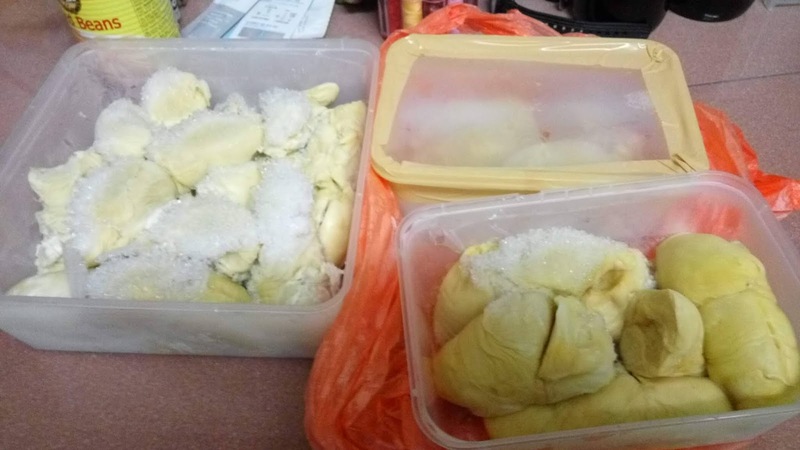 My mom knows I love durian, so she bought some and freeze them during the durian season. Now, in between meals, she would de freeze some and invite us to eat. My husband loves it too. I felt so loved.